mollyandroos has no other items for sale. 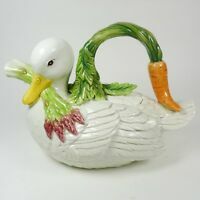 Details about Retired FITZ & FLOYD Le Canard DUCK serving / candy dish with carrot handle lid. 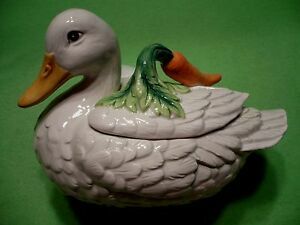 Retired FITZ & FLOYD Le Canard DUCK serving / candy dish with carrot handle lid.